Sometimes it can be hard to portray your tactics to your team without showing them, enter the Gilbert Netball Tactic Board. This A3 size magnetic dry wipe tactic board can be used to convey to your team exactly what you what them to do and who you want to be where. 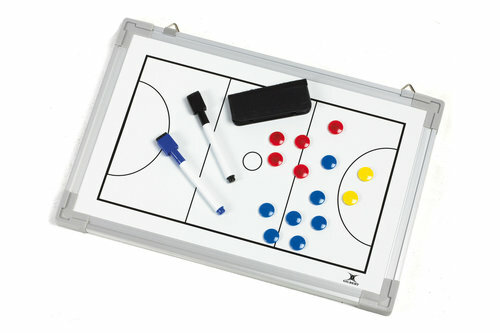 The pack includes dry wipe pens, a board rubber and magnetic markers all useful for showing different oppositions, different players and different runs of play.